This on-site training for, equipment technicians, will provide you with the knowledge to operate and perform maintenance on the Reliance® Vision 1327 Cart and Utensil Washer/Disinfector. This course provides the student with an in depth understanding of how to operate the Reliance Vision 1327 Cart and Utensil Washer/Disinfector and perform troubleshooting and adjustments. The student will learn the theory of operation and functional descriptions for major components and how to access the STERIS website for technical information, technical assistance or place a service request. 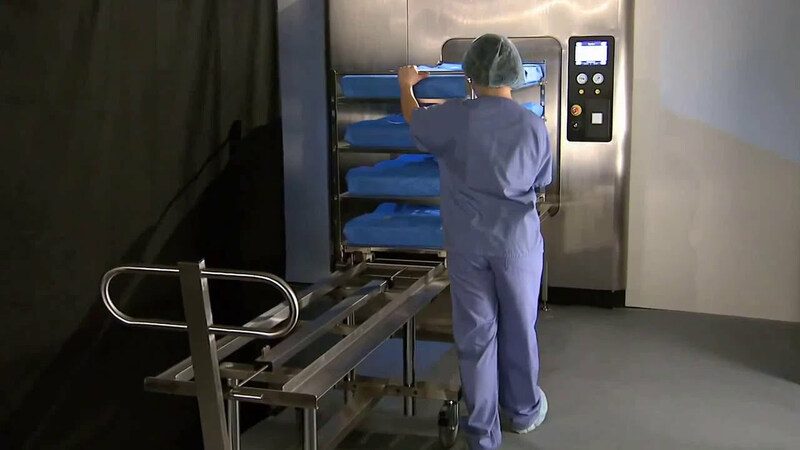 identify safety precautions to be taken when operating the Cart and Utensil Washer/Disinfector. verify all utilities are available to operate the Cart and Utensil Washer/Disinfector. operate in normal and service modes using the control panel touch screen. clean the Cart and Utensil Washer/Disinfector.